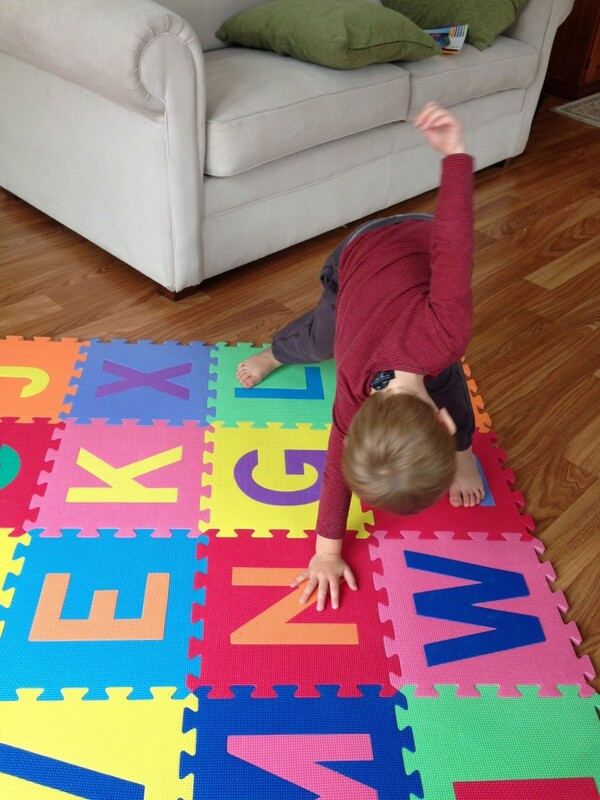 The following “ABC Jump” games reinforce all of these skills, which are listed in order of easiest to most difficult. My son has an absolute blast playing them, as you can see from the photos. (Some are blurry because they are action shots, of course!). We spend approximately 10 minutes playing this at a time. Preparation: Arrange all the letters to form a rectangular mat, in random order (not in alphabetical order). Choose the activities your child is able to do – for example, she may only know the names of the letters as opposed to the sounds of the letters. “Spell your name” – jump to each letter of your name, in order. “Spell Dad” – or other simple words by jumping to each letter in order. 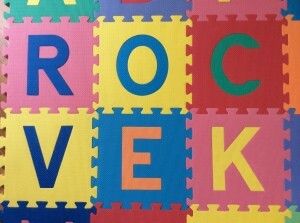 “Sing the ABC song” and jump to each letter as you sing it slowly. ✔ Vary the action. 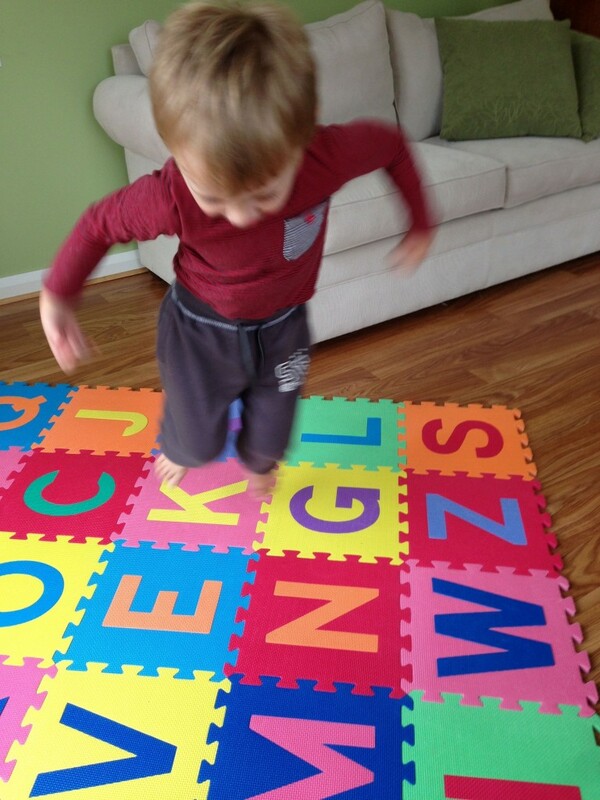 Instead of jumping, challenge your child to hop on one foot, then hop on the other foot to the next letter. ✔ Use all fours (hands and feet) like in the game Twister. For example, tell your child to place one foot on the C, the other foot on the T, one hand on the R, and the other on the S. You can also practice left and right by telling which one to use. ✔ Jump from a platform (make sure it’s a safe height!). My son is particularly active, and he’s all boy, so jumping off the couch is very fun for him. He sees each letter as a target to jump onto! Perhaps you have other ideas to add to the list? Let me know what works with your child! 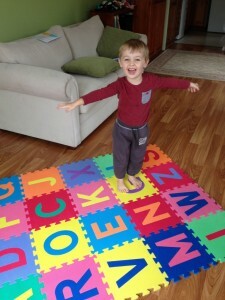 My son would love to do this, any excuse to jump around – thanks Tara!